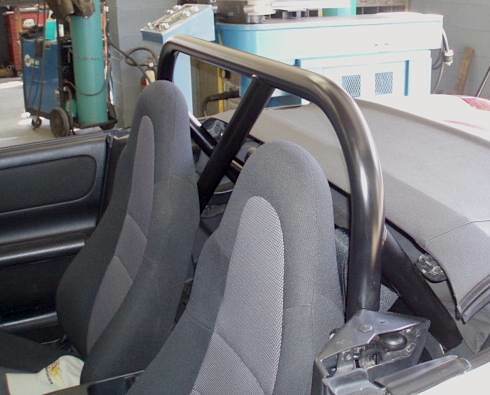 The Hard Dog MR2 Spyder bar is designed as a structural safety enhancement and meets SCCA Time Trials, SCCA Solo 1 and NASA HPDE safety requirements when equipped with diagonal bracing. 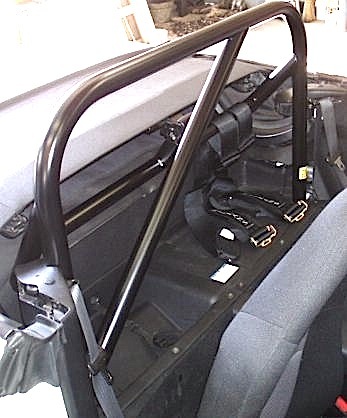 An excellent addition for the competitor that wants to maintain a dual purpose car for street and track events. 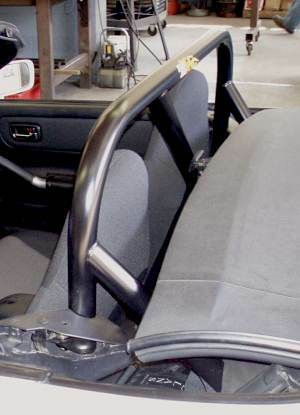 The Spyder bar comes equipped with an integral harness bar and soft top latch bracket. 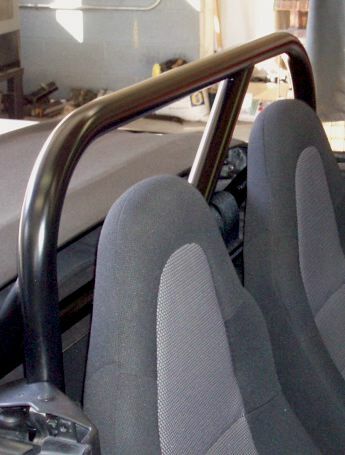 With a single diagonal brace, this bar is SCCA / NASA compliant. Adding double main hoop diagonals will add extra strength and a symmetrical look. Hard and Soft top compatible.